The hacking group Anonymous said Thursday that it accessed about 1 gigabyte of restricted material from NATO servers, and released a few of the documents as proof of its cyber-incursion. According to a hacker who maintains that he is part of Anonymous and goes by the name "Commander X," Anonymous plans to eventually release all the NATO documents in its possession and still has the capability to download NATO data. Anonymous--a loose confederation of hackers that has taken credit for hacking MasterCard, Visa, PayPal, Amazon, and Rupert Murdoch's Sun newspaper--showed off a piece of its NATO cache via a link on its Twitter page to a document with the text "NATO Restricted" about "Outsourcing CIS in Kosovo," dated January 2008. Restricted is NATO's lowest level of document classification. "Yes, we haz more of your delicious data. You wonder where from. No hints, your turn. You call it war; we laugh at your battleships." The man who calls himself Commander X described in an email to CBS News the substance of what he said were the NATO documents obtained by the hacker group. "The documents, a tiny sample of which has already been released this morning - are classified NATO procurement and procedure files mostly (though not exclusively) describing NATO secure communications networks. What equipment is used by NATO to securely communicate, and how that equipment is deployed. That is what you can expect from the dumps. Although there may be other incredible stuff we have not found yet in the cache, as it is a HUGE dump and we are only now getting into a lengthy analysis. It will take weeks just to analyze what we have already, and we also STILL have access to the NATO servers and we are STILL downloading databases." On Twitter, Anonymous said that it would be "irresponsible" to post most of the data. 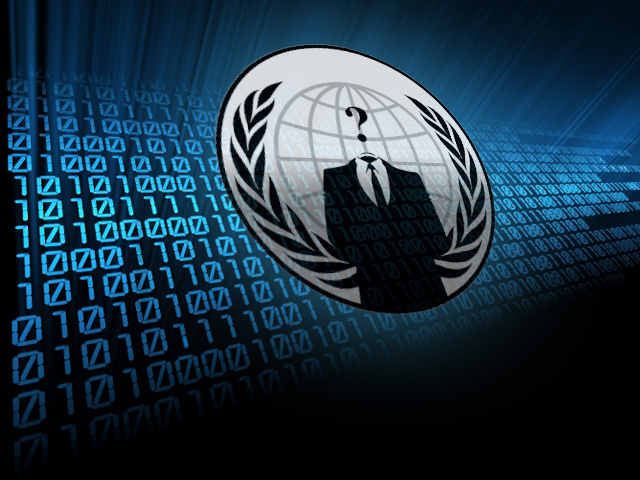 However, Commander X told CBS News that Anonymous plans to release every NATO document it has in its possession. "Anonymous ALWAYS releases EVERYTHING we take...eventually. But with these big classified dumps we like to take our time analyzing exactly what it is we have. That way we can do the disclosures in such a way as to maximize the political impact of the release." "Now, at that point if nothing else had happened - things may have cooled down in Op NATO. It would have become just another monitoring or "wait and see" Op. But almost immediately European countries saw this report from NATO as a green light and dozens of Anons were arrested across Europe in sweeps from Spain and Italy to Turkey. Retribution against those countries and now also Holland, the UK and USA - are handled by a separate Operation Vendetta. But because we see NATO as the prime instigator of this recent wave of persecutions, Op NATO never slowed down or missed a beat." "It is important to understand that Op NATO and many of our other Operations are manned by a global force and ongoing 24/7. If the Op is active, it never ceases because there is always someone in the world awake and at least monitoring the chan and news feeds. All the media and the world see is when we release something, but the effort to do these Ops is relentless and continuous." In a videotaped interview with CBS News on Tuesday, Commander X, who asked that his identity be hidden, said, "The power of Anonymous is that we have the ability to effect change on the Internet. You have a site online -- all of a sudden, we snap our fingers and that site is gone." A NATO spokesman said the organization is aware of Anonymous' hacking claims, and that NATO security experts are conducting an investigation. "We strongly condemn any leak of classified documents, which can potentially endanger the security of NATO Allies, armed forces and citizens," he said. On Tuesday, the FBI conducted multiple raids and arrested 14 suspects in connection with December attacks claimed by Anonymous on PayPal, the Internet payment service that had stopped processing donations for Wikileaks. "We want to send a message that chaos on the Internet is unacceptable," Steven Chabinsky, deputy assistant FBI director told NPR. "[Even if] hackers can be believed to have social causes, it's entirely unacceptable to break into websites and commit unlawful acts." Anonymous tweeted in response to the arrests: "We will not be stopped. Arrest one of us and they shall be replaced. #Anonymous is not a person or entity. It is you and I." A statement on Thursday from a group identifying itself as Anonymous & Lulz Security to the FBI and other law enforcement agencies regarding the hacker arrests proclaimed: "Your threats to arrest us are meaningless to us as you cannot arrest an idea. Any attempt to do so will make your citizens more angry until they will roar in one gigantic choir. It is our mission to help these people and there is nothing - absolutely nothing - you can possibly to do make us stop."